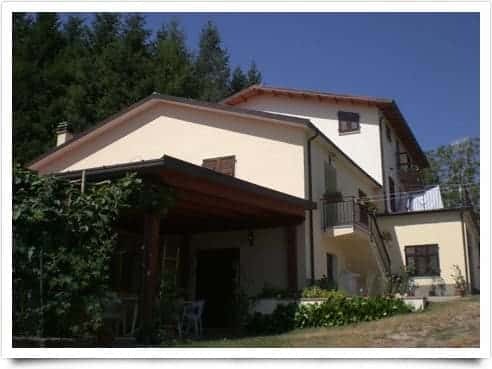 Casalina Farmhouse in Batesville (Massa - Tuscany), certified organic, family-run hotel is located in the countryside of Lunigiana, in a secluded and quiet, at the foot of a pine forest with hammocks and views of the Apuan Alps, ideal for a healthy relaxation. You can walk in the surrounding meadows, and stunning ride at a riding school nearby. We have golf ball flight, private swimming pool, table tennis, football, bowls etc.. The kitchen is run by the owner, who prepares delicious cakes, pastries and breads, and with the help of the oven, lasagna, pork chops, pizza etc. We are an organic livestock farm, owned by BioAgriCert and we can produce almost all products we offer to our guests. If this answers your needs vacationer come to us, come into our home, our family will be welcome guests. You are the owner or manager of Agriturismo Casalina? You can publish updated data, description and images ... free!